It’s no secret that green building is one of the fastest growing sectors of the construction industry. 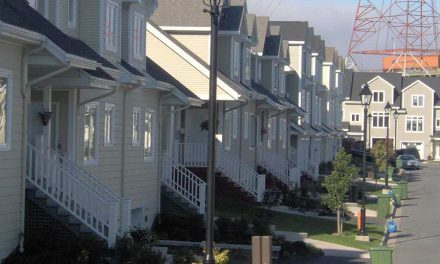 It’s also a target market for ICFs, which are chosen for many eco-friendly projects due to their durability, efficiency and flexibility to work with any architectural style. Obviously, it’s important that the exterior finish chosen has these same attributes. Fortunately, innovative coatings called “textured acrylic finishes” have been developed that meet all these requirements, and some have been specifically formulated for ICFs. Sometimes called acrylic stucco, it is one of the most popular exterior finishes for ICF, and is a smart choice for green ICF jobs as well. It’s durable, versatile, cost effective and easy-to-apply. But some types of acrylic finish have a significant drawback: they tend to get damaged easily. This is especially true in ICF work, as the EPS foam substrate is so soft. Whether the damage is intentional (like vandalism) or accidental (like careless lawn trimmers, errant golf balls or even woodpeckers) it has a reputation of not being able to stand up to abuse when compared to brick and stone. Fortunately for ICF builders and architects, PermaCrete has developed abuse resistant acrylic finishes that are durable enough to stand up to any environment and have been used without problems in schools, warehouses, prisons and other similar high traffic areas. Most are designed for exterior use, with many that can be used on interiors as well. This is especially desirable on green building projects in the residential sector, where owners typically want an exterior finish that looks great, requires little maintenance and is cost-effective to use. Although not every building requires the same tough finish used for high schools or prisons or live in an area where extreme weather creates flying debris, every project could benefit from having a durable, maintenance-free finish that can withstand the wear and tear of day-to-day living—especially when that finish will provide the same ease of application and wide range of styles offered by regular acrylic finishes. A wall section, built on a square measuring two feet wide with a one-inch-thick layer of EPS foam is placed coating side up, on a hard, flat surface, such as a concrete floor. with a half-inch diameter hemispherical head is dropped down a vertical tube from a pre-determined height. The height needed to break through the mesh in four out of ten drops is then used to determine the category. finish can be achieved by using a thicker basecoat, additional mesh layers, or stronger materials. Super-high impact coatings exist; PermaCrete, for example, is four to five times stronger than the typical EIFS coating, and can surpass the highest levels of impact resistance the EIMA impact test offers. Third-party lab testing revealed a typical PermaCrete panel with 4.5 oz. mesh, took 178 in.-lbs. of force to create a noticeable indent, and 204 in.-lbs. to crack the sample. That translates to an impact strength of 220 psi. look of limestone block, antique brick, or even granite. 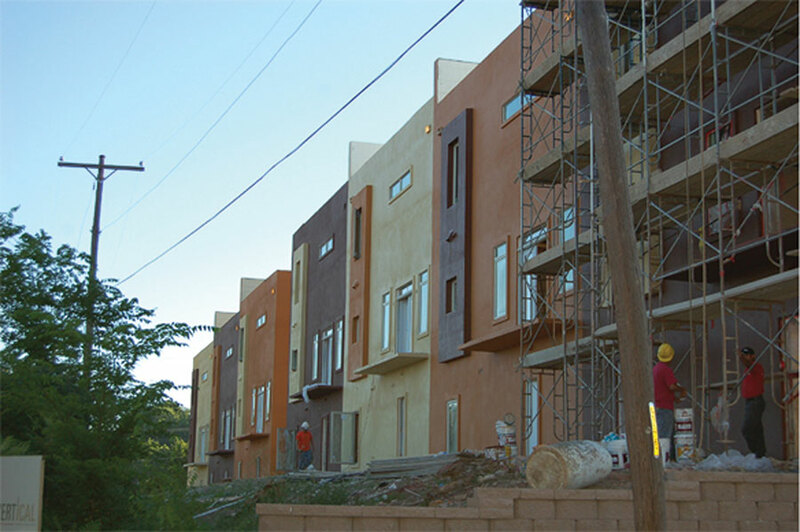 PermaCrete’s acrylic finish was used on a recently completed ICF project in downtown Little Rock, Ark. 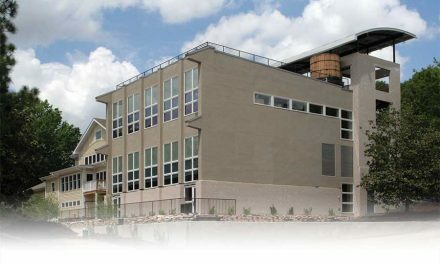 The 22-unit residential complex achieved a LEED-Gold level rating. These types of finishes are among the fastest to apply. 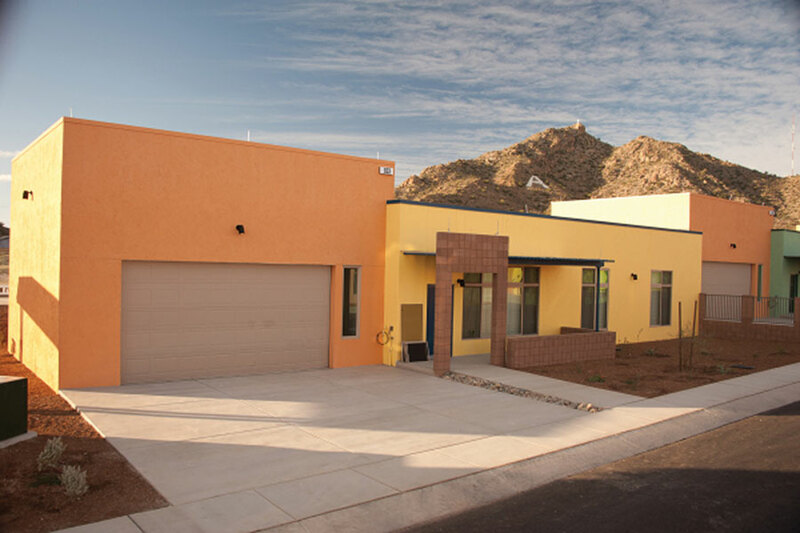 While frame walls and other systems require preparation with rigid foam boards or felt paper and lath, with ICF work the finish goes even faster because the wall is already clad with foam. PermaCrete can even be spray applied to make big jobs go faster. Some report that experienced three-man crews can apply up to 2,000 sq. ft. a day. So for all of the additional challenges that green building presents, ICFs and high-performance acrylic coatings can meet most of them. They’re durable, low maintenance, relatively inexpensive, easy to apply and versatile enough to create a wide range of styles and a high performance acrylic finish can greatly reduce repairs, improve appearances and help the occupants enjoy greater peace of mind.